Storytelling is a journey, and going from idea to published reality is not an easy one. Join us for an intensive 2-day writing retreat with award-winning freelance journalist and Emmy-nominated producer Yardena Schwartz, who will guide us through the storytelling process from start to finish, with a special emphasis on pitching. Based in Tel Aviv, Yardena has successfully pitched and published stories from around the world for The New York Times, Newsweek, Time, Foreign Policy, Rolling Stone, HuffPost, Politico Magazine, NBC News, MSNBC, and many other publications. Whether you write for a living or want to be writing for a living, a successful writer needs to know how to tell a story well and how to sell that story well. Because let’s face it: even if you’re an incredible writer, if you can’t pitch your story, it won’t get very far. Ultimately, writing a strong pitch is just as crucial – if not more so – than writing the story itself. 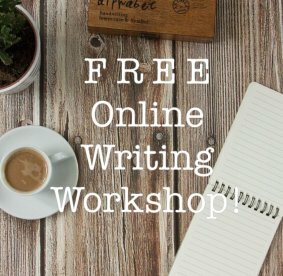 If you’ve struggled with getting your work published, then you do not want to miss this. Throughout this writing intensive, Yardena will present lessons from her own wealth of experience in journalism, and will facilitate interactive writing and pitching exercises. Yardena will also provide thorough feedback so that you come away with stronger storytelling muscles, and the ability to successfully pitch and publish your work. *If you cannot attend the Saturday session, you will receive supplemental activities and feedback from Yardena via email following the retreat. For more details, email Hello@pinkpangea.com. Yardena Schwartz is an award-winning freelance journalist, Emmy-nominated producer, and communications consultant based in Tel Aviv. Her work has appeared in The New York Times, Newsweek, Time, Foreign Policy, Columbia Journalism Review, Rolling Stone, U.S. News, and elsewhere. Previously Yardena was a producer at NBC News in New York, where she worked for The Today Show, Nightly News, and Andrea Mitchell Reports. Yardena graduated with honors from Columbia Journalism School and is a recipient of the 2016 RNA award for magazine reporting. In 2013 she earned an Emmy nomination for her work at MSNBC. You can see her writing on her website: www.yardenaschwartz.com. School of Shine is a positive resource inspiring every woman to find happiness from within, and to connect with herself and her community, all based on the science of happiness. We offer creative tools, positive guidance and exploratory events to help women focus on what’s important for living a happier and healthier life. Like your best friend – we keep it real, and we just want you to be happy. We aim to increase self awareness, self appreciation, and inspire action to create healthier habits for a happier life.